Women’s Ministries was first called Ladies Home League and is distinguished in The Salvation Army by its international membership and organization. It was founded in 1907, and is one of the largest Christian women’s organizations in the world. In 1994, the Home League was changed to Women’s Ministries. The program still meets the needs of all women. We are striving to especially reach younger women, to give them a variety of opportunities to become equipped in ways that will strengthen the home, our society and ultimately our nation. Women’s Ministries provides group meetings based on worship, education, fellowship and the service needs of women. These are the same guidelines that were established originally in 1907. Our goals are to bring women into the knowledge of Jesus Christ, encourage their full potential in influencing family, friends and community, equipping them for growth in personal understanding and in life skills, and to address issues that affect women and their families in their world. Our ultimate goal is to win women and their families for Christ. We encourage spiritual growth, provide Christian fellowship, promote a purposeful Christian life and minister to the needs of women. Want to get involved? Simply contact The Salvation Army's nearest location. 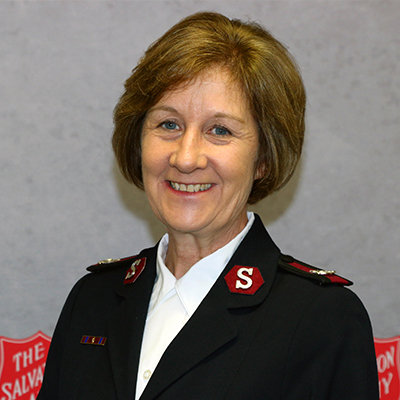 For a listing of The Salvation Army's locations in each state, including times of operation and program information, please click your state link below. Or, type in your zip code into the box below. Our mission is to provide opportunity to win women for Christ, and assist in their spiritual growth, nurturing and awareness of the needs of the family, the community, the nation and the world.